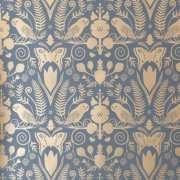 Once upon a time, wallpaper was an extremely popular home decorating trend but one that after its heyday fell out of favor for decades. Over the past five years, thanks in good part to the popularity of HGTV, wallpaper is making a slow and steady comeback as a home décor option. Debra recently worked with a repeat Harrell Remodeling client who found some unusual wallpapers she wanted to incorporate into her San Jose ranch home. 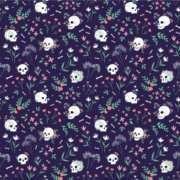 These fun small-run “stealth prints” by Spoonflower included an English floral pattern that upon closer inspection includes dragons interwoven amongst the vines, and another white floral skull print on a deep teal background. Having worked as a scarf designer for Ralph Lauren before her career shift to designing home interiors, Debra innately understands color and pattern in printed designs. With her finger on the pulse of up-and-coming trends, she is seeing a multitude of wallpaper motifs making waves in the home décor space. 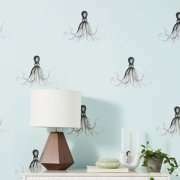 Underwater themed wallcoverings featuring colorful fish, octopus, and other sea creatures are fun, lively designs that make a vibrant, visually entertaining design declaration. A small amount goes a long way with these animated patterns. From monochromatic to wildly colorful, these wallpapers include both plants and animals. Inspired by classic motifs, ferns, leaves, and flowers coupled with monkeys, birds, barn owls and butterflies offer a fun and adventurous way to add some whimsy to any room. Always popular, today’s floral patterns are tonal, subtle and soft. 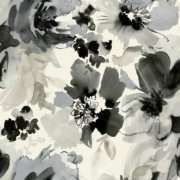 Romantic and elegant, these Asian-inspired abstract watercolor and ink wash floral designs are silver, whites, and grays, creating a reflective, textural quality that adds depth and interest. Also making a resurgence are organic, nature-themed floor-to-ceiling murals, such as bare tree branches in silvery whites and grays. 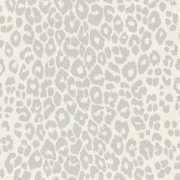 Modern, refined, and opulent, animal prints invite a unique, textural quality to any interior space. Inspired by the diversity of the animal kingdom, these designs include alligator, zebra, cheetah, leopard, and snake prints updated in both muted and bold hues. The cheetah print in navy and white, zebra in a pale, silvery gray, and alligator in navy, silver, or a rich burgundy conjure a contemporary twist. Timelessly classic, geometric patterns invite a sense of visual order. Many of these wallpaper designs blend a matte shade with a metallic such as navy and gold, or charcoal with copper or rose gold. Many current geometric designs include a French influence by incorporating medallions, traditional brocades, and romantic, curvy designs. 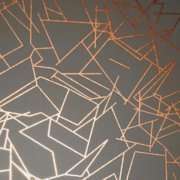 Be they linear, angular, curvy, or organic, geometric wall coverings are always sophisticated. 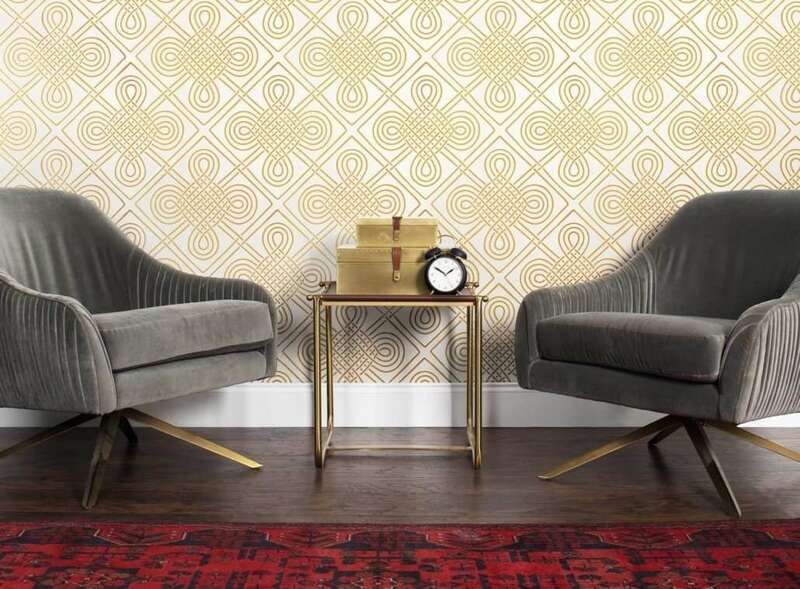 Harkening back to the 1970s are today’s wallpapers that are realistic in appearance. Stacked stone, shiplap, brick, grass cloth, linen, or barnwood, these designs give the illusion of natural materials. Offering visual texture, they often include hints of metallic for depth, deceiving the eye and invoking warmth. It is a way to bring the natural world into our high-tech environments. “Whether you love daring design or prefer something more subtle, there is a wallpaper that will work for you,” explains Debra. Debra has been with Harrell Remodeling Design + Build since 2014 and has received numerous awards for her designs. Her fine arts background and her 13 years as a fashion designer for Ralph Lauren in New York City give Debra a unique design sense that benefits Harrell Remodeling clients. Debra specializes in Kitchen and Bath redesign, and is a Universal Design Certified Professional (UDCP). She also works on whole-house remodels and room additions. Harrell Remodeling has been designing and remodeling distinctive homes in the Bay Area and Silicon Valley since 1985. Contact us today to schedule an appointment with one of our incredible designers in Palo Alto or Los Gatos and discover how we can transform your home, kitchen, or bath.